NAG Board member Steve Engler took dozens of photos at the Beaux Arts Ball on Saturday and gave me a disk of them yesterday. I put on my editor’s hat, tossed/cropped a few, and am now pleased to present them here. Above: Locally Grown’s propriety guidelines prevent me from publishing the rest of the series of photos of Steve with his wife, Lynn. 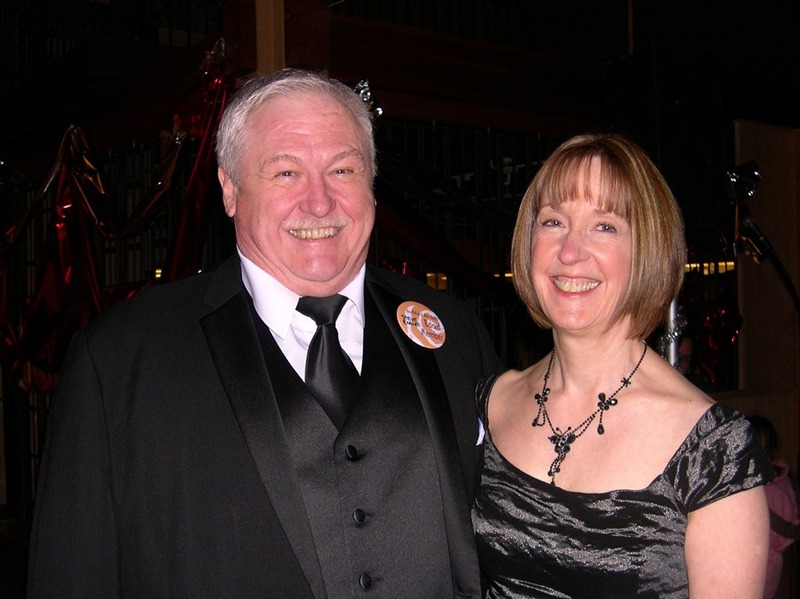 Last night’s Beaux Arts Ball, part of Northfield Arts Guild’s 50th Anniversary season, was spectacular. I ratcheted back on the number of photos I took, once I saw that David Henke from the Northfield News and Steve Engler, NAG board member, were also taking lots of photos. I’ll link to their albums when they get them posted. If you were there and have photos, add a comment below with a link. 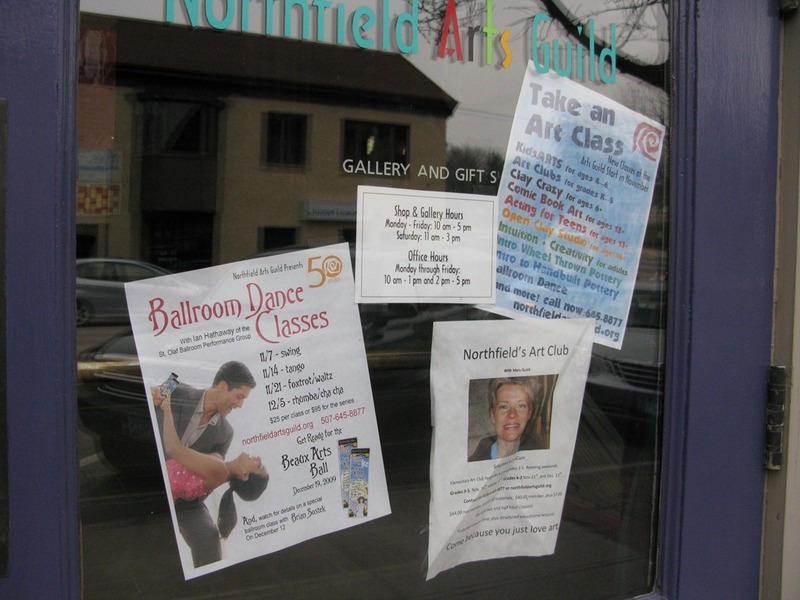 Northfield’s last big ball was the 2005 Sesquicentennial Governors Ball. Next week will rival it: NAG’s Beaux Arts Ball, part of Northfield Arts Guild’s 50th Anniversary season. 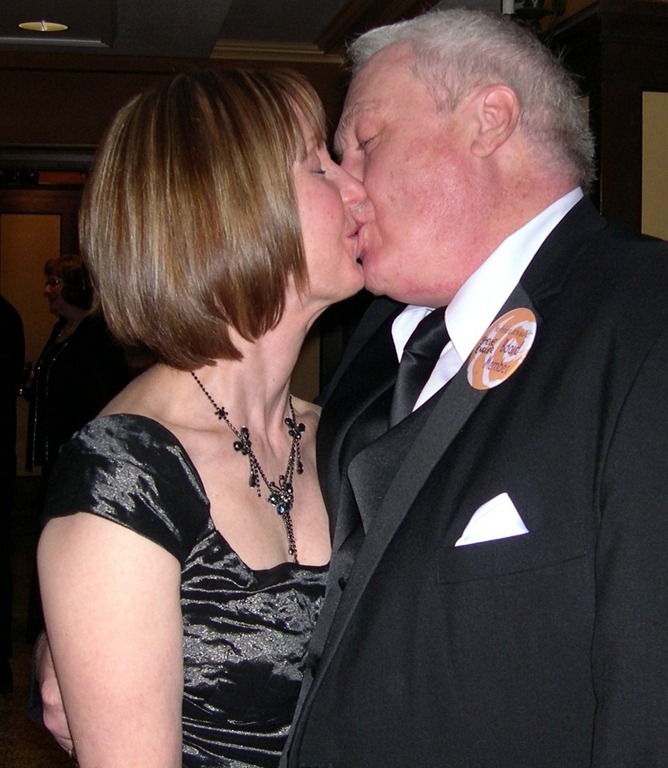 I’ll be there with my sweetie, hopefully 1) not stepping on her dancing shoes; and 2) taking better photos than this one. 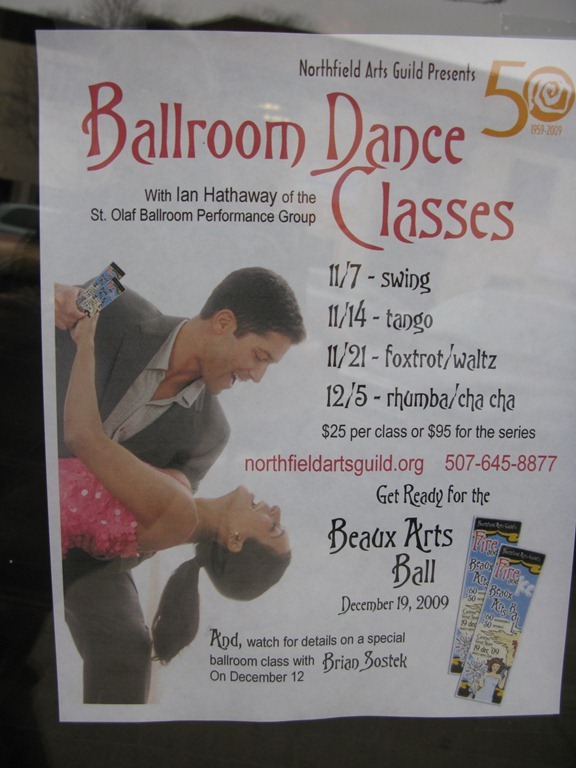 Doug Bratland has a Beaux Arts Ball-related calendar listing on Northfield.org titled: Get Ready for the Ball with Dance Lessons! 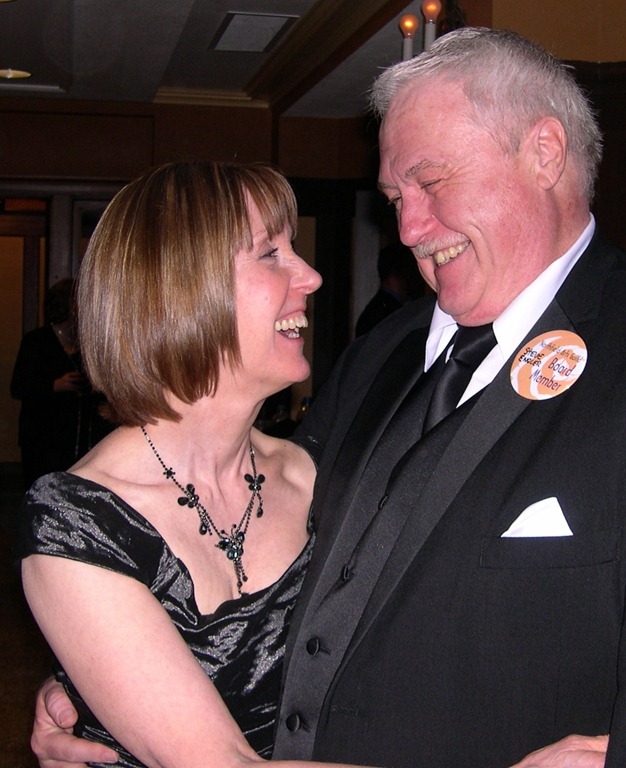 Here’s the link to the ballroom dance lesson info and registration page on NAG’s website. Tomorrow’s lesson: Tango. BAMG/NEG head honcho Rob Shanilec invited me to a party at Jennifer and Chris Sawyer’s house on Monday to kick off the promo blitz for the big event of the Northfield Arts Guild’s 50th Anniversary season, the Beaux Arts Ball, coming up on Dec. 19 at Carleton College’s Great Hall. 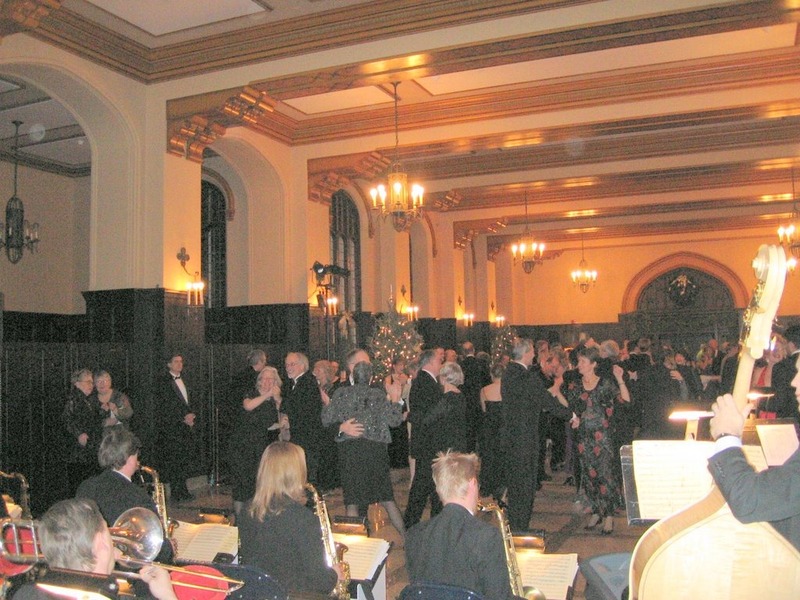 The event will feature music by the Bend in the River Big Band and information about ballroom dancing lessons will soon be leaking out. Dan Freeman was at the party with his undertaker face and tuxedo on. It’s not too early to contact Dan about a tuxedo for the event. 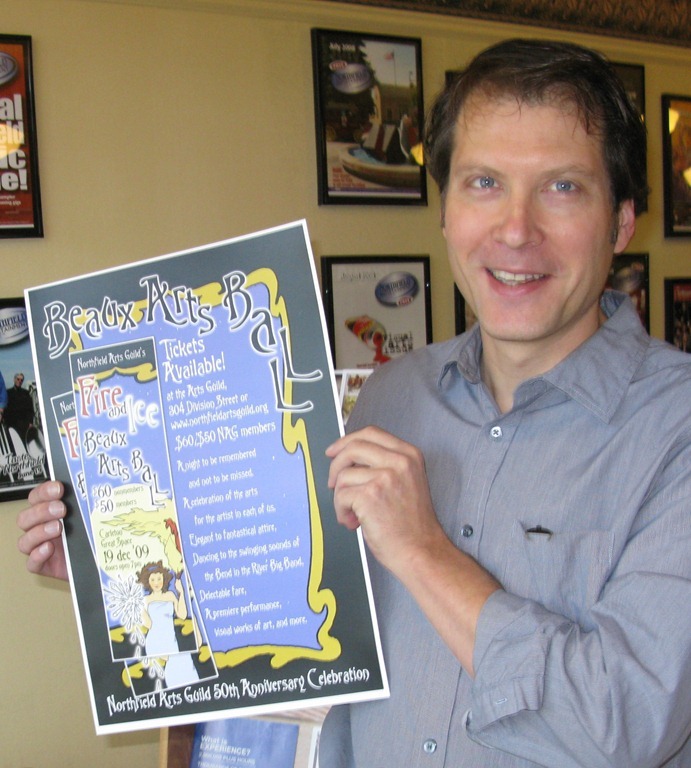 And you can now purchase tickets online for the Beaux Arts Ball. Don’t wait too long, tho. Only 500 will be sold.